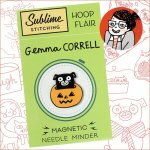 Sublime Stitching x Gemma Correll! 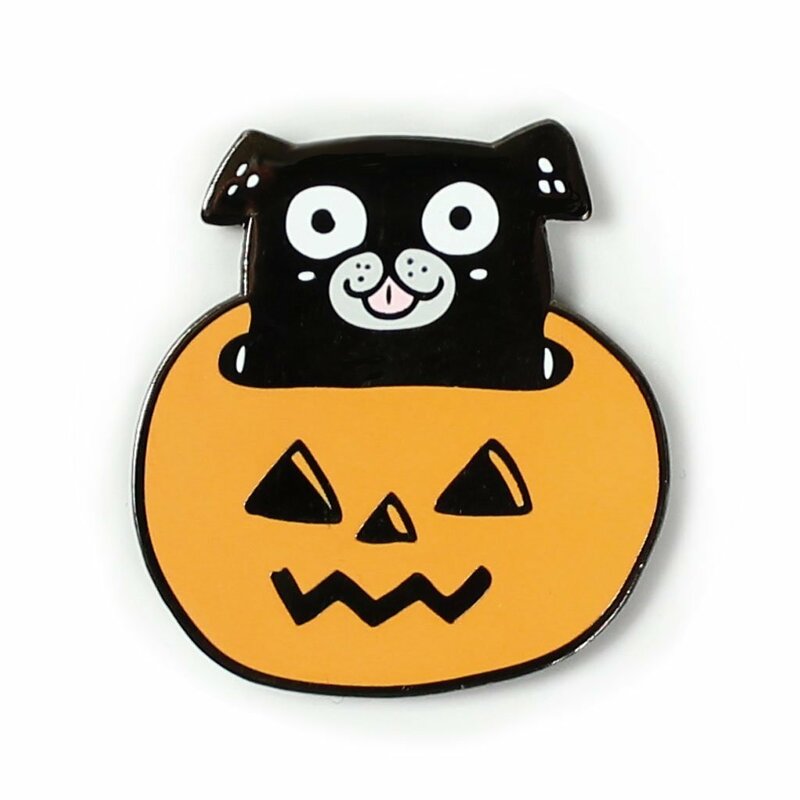 A pug dog needle minder to stare derpily at you while you embroider or sew. 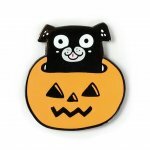 This guy's popping out of a jack-o-lantern, so of course I had to name him "Pugkin". 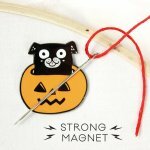 Looks black in the photo, but this needle minder is a shiny graphite!